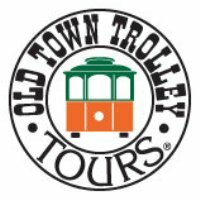 For over 30 years, Old Town Trolley Tours has provided sightseeing tours highlighting the best Key West attractions. Hop aboard one of our trolleys and you’ll experience Transportainment, a delightful combination of transportation and entertainment. There’s no better way to see all of Key West than with Old Town Trolley Tours. The island of Key West is full of fun and exciting things to do and see. From the Southernmost Point to the quaint streets of Old Town, our tour takes you to all the major areas and attractions. But don’t leave Key West until you’ve watched the sunset from Mallory Square, a truly memorable experience! (4) Adult Admissions on the Old Town Trolley Tour of Key West. Key West's Most Popular Tour Includes: An exciting 90+ minute fully narrated tour of Key West covering over 100 points of interest. "On and Off" privileges at all conveniently located stops. Hours of Operation: Daily 9:00 am to 4:30 pm; 363 days a year. Closes at 1pm on last Friday and Sat in October for Fantasy Fest. Tours depart from boarding locations approx. every 30 minutes. Present winning auction voucher at any Old Town Trolley boarding location for admission.